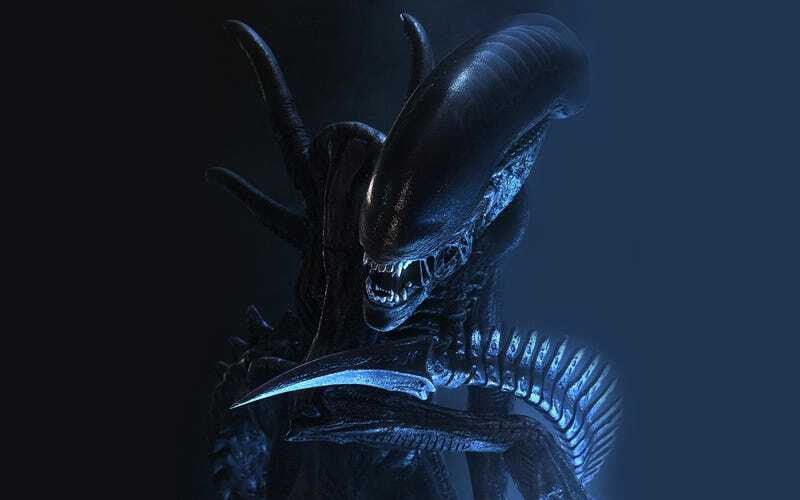 Is "Xenomorph" Spelled With A Little "x," Or A Big "X"? Ars Technica's analysis of the origins and canonical implications of the word "xenomorph" in the Alien franchise is pedantry at its finest. No, they&apos;re not called "Xenomorphs"—at least, not with a capital "X." Sigourney Weaver's Ripley stands in front of the squad of ten cocky, poised space marines. They laugh and joke, oozing bravado and testosterone—even the women. As the shavetail lieutenant lays out the situation, Bill Paxton's mouthy PFC Hudson interrupts: "Is this going to be a stand-up fight, sir, or another bug hunt?" "All we know is that there's still no contact with the colony," replies the lieutenant, Gorman, "and that a xenomorph may be involved." "Excuse me, sir," interjects PFC Frost from the back row, "—a what?" "A xenomorph," repeats Gorman, emphasizing the syllables. It's one of the few times in all four Alienseries films where the creatures are referred to directly, rather than obliquely as "them" or "it." Of course, we in the audience know what's waiting down on the planet below—the movie is called Aliens, after all. And as the sequel to Ridley Scott's 1979 haunted house masterpiece Alien, it was a film that was bound to be full of toothy, spiny, drooling monsters. But Gorman's casual arrogance at quickly reeling off a name for the nameless terror that killed off Sigourney Weaver's six (well, five, really) shipmates fifty years before implied that this wasn't the squad's first encounter with the titular bad guys, and that the creatures were just another casual foe that could be defeated by a combination of attitude and techno-toys. As you might expect, this assumption proves to be completely wrong, and the "xenomorph" term has been causing confusion ever since. Read the rest over at The Multiverse, Ars Technica's new science fiction column.